Headed to Mardi Gras? First of all, we’re so jealous. Second, you’ll want to stay close to the action to get that true Mardi Gras experience, but then have a little escape in a hotel as decadent as a beignet. No need to search around, we’ve rounded up the best of the best. There’s still time! Book a room with a Member Exclusive Rate! 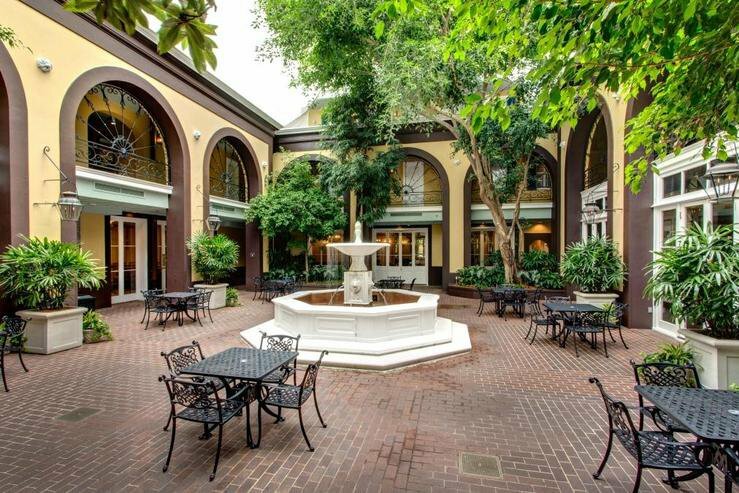 One block from Jackson Square, the 218-room Bourbon Orleans Hotel has been part of French Quarter history for almost 200 years: the Orleans Ballroom held masquerades and carnival balls in the 1820s. A recent multi-million dollar restoration has brought the historic elegance of the hotel to life. Some guests room feature a balcony over Bourbon Street; It doesn’t get closer than that! 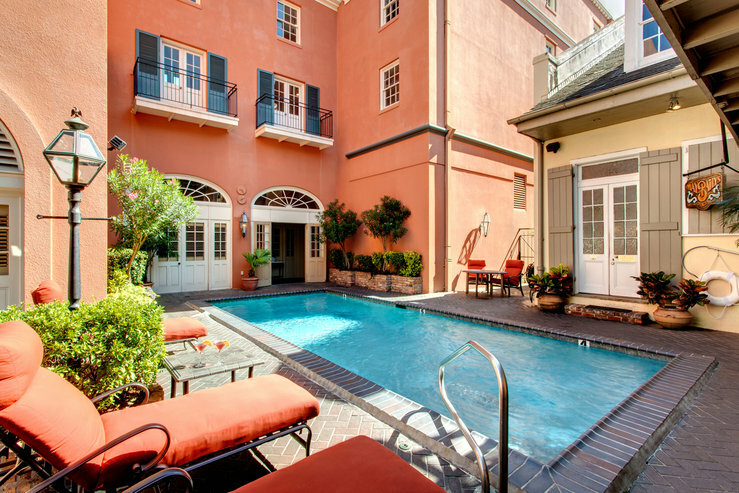 Strolling distance to Bourbon Street fun but set just slightly apart from “le bon temps”, Dauphine Orleans Hotel is a peaceful hideaway set in a collection of buildings with colorful French Quarter pedigrees. James Audubon painted Birds of America in what’s now the breakfast room, and the Victorian-style bar is named for the madam who used to preside over this one-time bordello. A celebration of music, art, architecture, history, and hospitality. 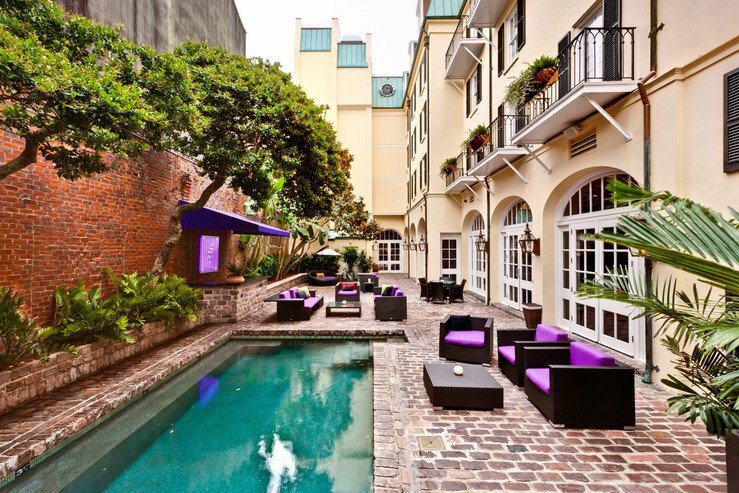 The 18-room Henry Howard Hotel is a microcosm of New Orleans’ melting-pot past and its vibrant contemporary culture. 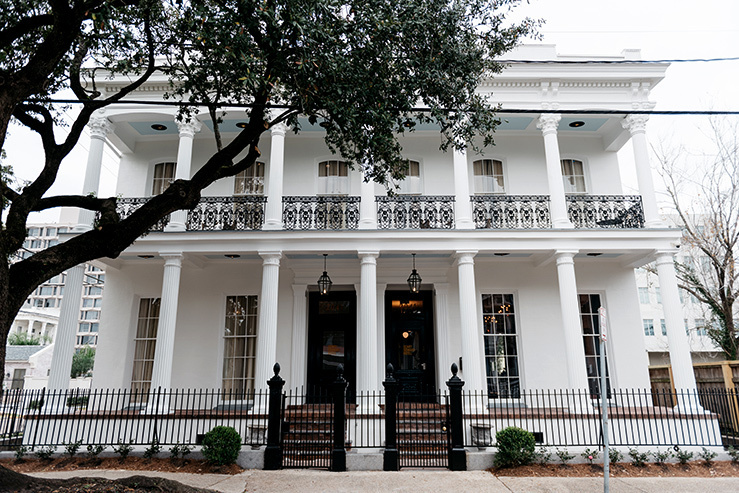 Just half a block from Bourbon Street, this 64-room boutique hotel is a chic, modern counterpoint to the nightlife and history of New Orleans. The glossy VIVE! cocktail bar opens onto a quiet, brick-floored courtyard furnished with deep purple lounge furniture and an inviting sea-green rectangle of a heated salt-water pool. Carriage house lanterns light the area at night so you can enjoy your cocktails outdoors. 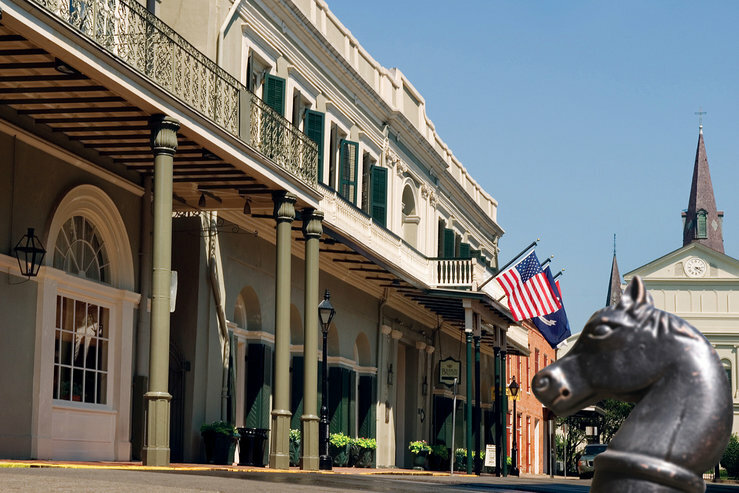 Ideally situated between Bourbon and Royal Streets in New Orleans’ French Quarter, Hotel Mazarin’s recent restoration captures the area’s spirit with chandelier-and-marble elegance and a courtyard centering around a copper fountain. Delicate wrought-ironwork and arched windows complete the Vieux Carré effect. 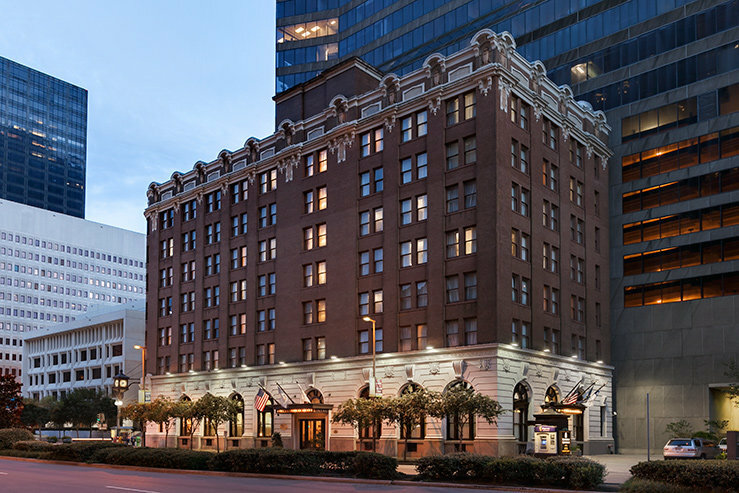 The 93-room historic Whitney Hotel is set in the city’s Central Business District, but New Orleans-style good times aren’t far off. The French Quarter, the Mississippi waterfront, and the Warehouse/Arts district, burgeoning with new restaurants and galleries, are all a short stroll from the hotel’s front doors.